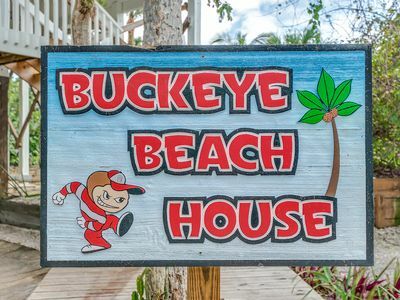 **Please note that during late July to the end of August there will be building repair work occurring**. 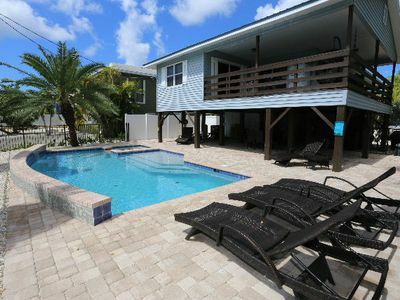 Welcome to Loggerhead Cay 422. 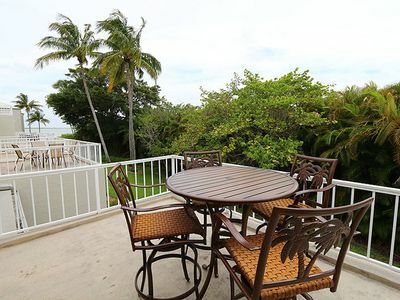 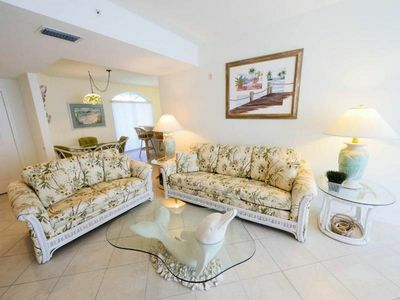 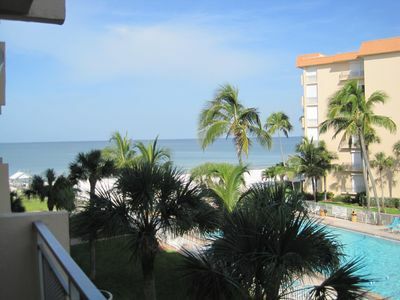 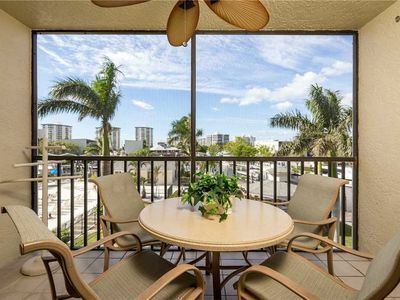 Our vacation rental condominium is new to the vacation rental market, having never before been rented. 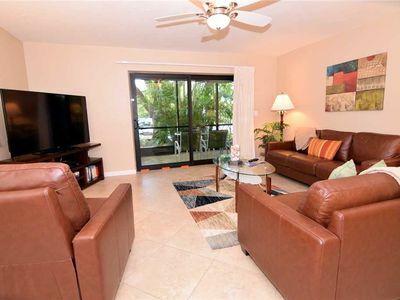 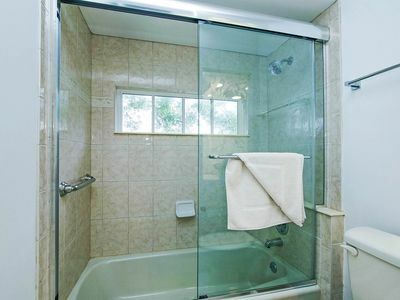 The kitchen has been beautifully renovated and features very nice stainless steel appliances. 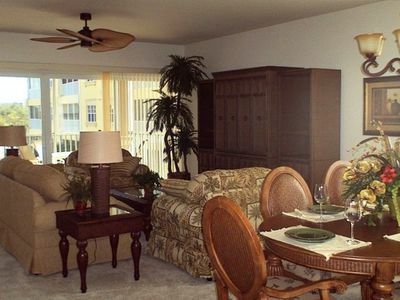 The "beachy" colors throughout make you feel like you are on a tropical Island ... wait, you are on a tropical Island! 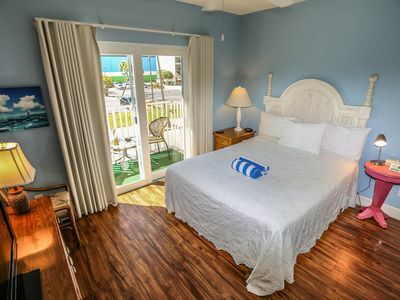 We have added all new furniture, bedroom sets and more to make our vacation home one of the best. 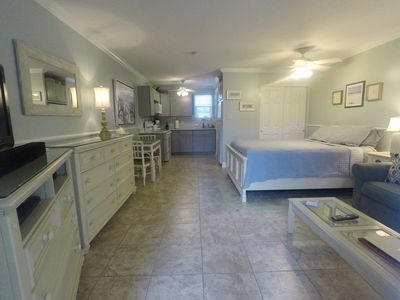 There is a very comfortable king sized bed in the master bedroom suite, queen and twin beds in the guest bedroom and a sleeper sofa in the living room. 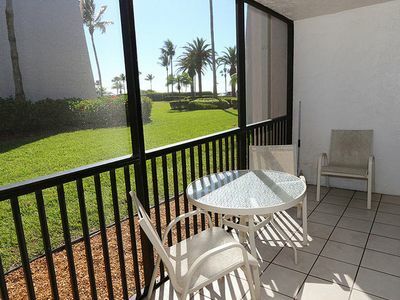 The screened lanai is very spacious and has a nice seating area and table to enjoy a morning coffee or evening cocktail. 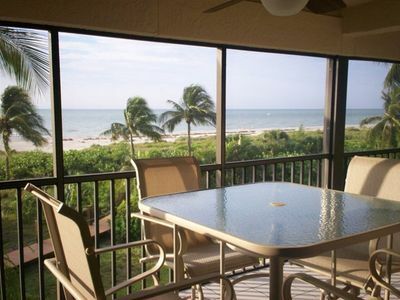 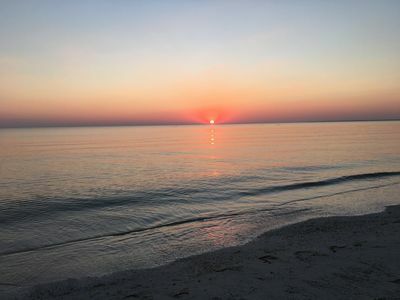 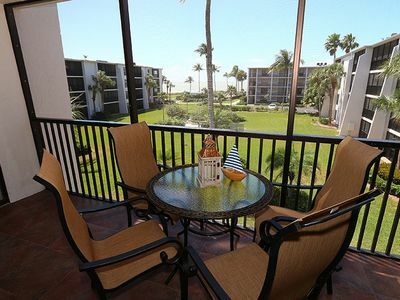 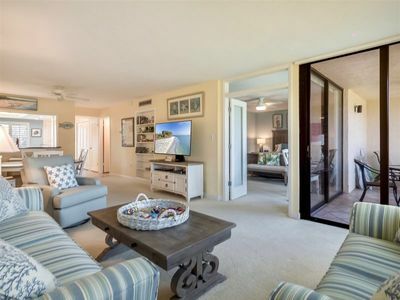 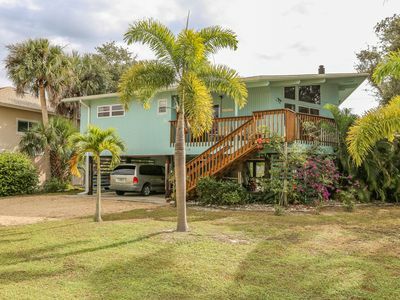 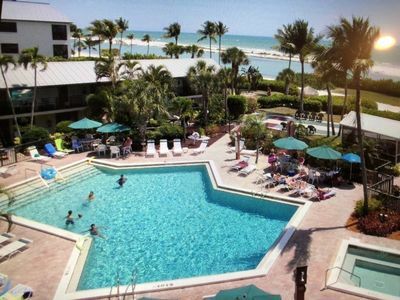 Loggerhead Cay is one of the more popular Sanibel Island vacation rental complexes with a community pool, tennis courts, shuffleboard and bbq areas. 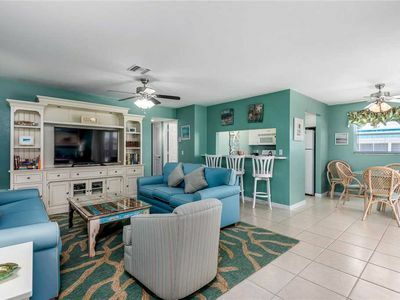 The beach access is just steps away as well. 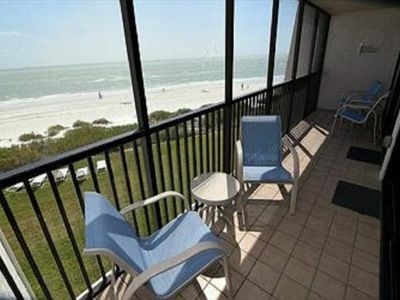 All buildings are elevator serviced. 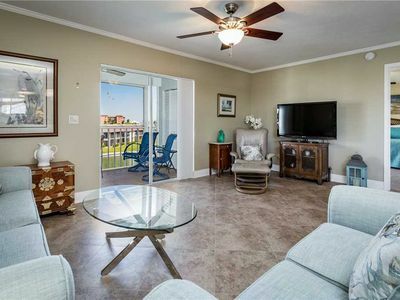 North End Condo at Harbor House!